After my stellar performance at the 2014 LA Rock n Roll, I wanted to write about how I came up with my costume. Even though there are a few things I will suggest, overall the costumed turned out great. Have you ever run in a Pinocchio costume? Overall, the race was great for me as I hit my goal but there were lots of things that I did wrong! So let's get to it. Went to bed around 9 and work up at 5:20. Ate breakfast, got ready and was out of the door and in my car at 5:55. No traffic and the instructions on the website were great. I couldn't get to the garage I wanted so I settled for offsite parking for 10 bucks! Parked at 6:15 and Was at the start line at 6:20! DRIVING WAS THE BEST DECISION! Checked my bag and met up with Mari. I had 2 pee stops in between (OJ, tea, water and powerade was a lot) and we started off In Corral 11. She was running for fun so I took off right at the start. I definitely made a good decision starting with faster people. They were flying but I was actually keeping up with them. Everyone spread out real quick and I hung out on the side of the road so I could intervals. My costume had issues right away. My hat was coming off from the wind and my collar was a mess. Also my bra strap kept falling down (probably because I had my emergency fuel in it) and my suspenders were everywhere. Ugh. I can't believe I dealt with that hot mess for over 2 hours! The only problem I encountered was with the 5k people. Many were walking so I had to weave more than I wanted to but overall it wasn't that bad. I almost ran straight into someone because she saw her husband and just stuck her arm out to the side. I had to put on the brakes fast and luckily no one hit me! I am trying to learn to run based on feel and I felt great and looked down and was averaging around 9:20 running pace which is fast for me. I was trying to hold back as best as I could. On my walk breaks, I felt ready to go but forced myself to stick with them. I did not want to crash and burn. I also had to pee so I was just counting down the blocks until we were in the coliseum. Turning onto Exposition was a bit crowded because it is narrow with the train tracks but I was able to get through okay. Finally a bit before the 5k mark was bathroom time. Working in the coliseum has it perks-I knew to go in the out exit as the stalls are closer and less crowded. I have been practicing on peeing In under a minute and pretty much kept to that! However when I looked in the mirror, because it was so humid-my sunscreen was all over my face so I had to wipe it off. Precious seconds but total it was about 1 minute added. I had my first fuel in the coliseum and was starting to struggle. Miles 3.3-5 were my toughest and I'm still not sure why. I think the heat was getting to me already. I hit the water station around 5 and took a margarita shot blok and felt much better! I think it was actually my lack of salt! I need to buy more of those because I'm out of them now. Heading to the 10k and I felt great and crossed that marker in 1:01!!! Coming around the corner and you can see the fast finishers on pace for a sub 1:20 and it is AMAZING to watch them. The crowd support was much better so I was in a good mood. I was almost 2 minutes under pace and felt good. I didn't feel like I was moving fast but my watch said I was moving at a 6:50 pace!!! (I still think it was wrong because that's insane! As we headed through the 2nd street tunnel and put towards the crazy bridge, the sun came up and was right in my face. Even with sunglasses, it was still pretty bright. I got to the Gu station and finally got to try the salted watermelon flavor and fell in love. FINALLY a Gu flavor I like and enjoy! Let's hope they make it a regular one. Right after the Gu station, we went through a water misting station which felt great. I knew it was pretty warm and I felt dehydrated already. I go see the bridge in the distance and I was about 2 minutes ahead of pace so I knew if I could make it through the bridge, I would break 2:15! Here is where I ran into trouble: my middle toe on my left foot KILLED! It felt like it was being ripped from me. I trimmed my nails the night before so o had no idea what was wrong. It stopped hurting and went numb so I kept going. Turns out it was a blood blister under my foot! Eek! Got to the hill and ran until I couldn't and did lunges. The bridge literally goes on for almost half a mile. At the top of the bridge was a water stop and a nice man with a massive bucket of the spray I use on my legs. Reapplying helped a lot! I knew climbing the bridge was all I needed. The rest was downhill so if I could hang on, I would make it. I dug deeper and knew if I could just hit the mile 12, I would know how I was doing. I was still 1.5 minutes under pace so I knew I had this. I dug deeper, pushed harder and used the crowd support to go towards the finish line and cross in 2:13:43!! I DID IT! Surprisingly, I did not cry. I was just in need of water. What's interesting is that I felt like I was going really slow in my last few miles but in reality, they were still under 10 minute miles. We got so much stuff-banana, power bars, gatorsde, milk but no bag to carry anything! Come on RnR-we need bags. I was covered in sweat and I got sweat In my phone and couldn't make calls. I had a stranger swipe my phone so I could talk to my boyfriend and had to go to the medical tent to get a towel to wipe it off. I was exhausted and feeling sick. When I finished at 9:30, it was already 70 degrees and sunny and humid. My hair was so covered in sweat it was as damp as when I got out of te shower. Everything I ate or drank, besides water, made my stomach kill. Afterwards I met up with some friends and we hung out for a bit. We waited for mari to get her cali combo medal and it took 45 minutes! Come on RnR-get it together! They need wristbands and separate tents (like Rundisney does with challenge medals) because that line was a mess all day. I eventually made it home and still couldn't eat anything. All I could have was water. I rolled and then took a quick nap and woke up and had FIVE glasses of water before showering. Then we went off to Disneyland to celebrate and walk! I will note the whole left side of my body was a mess after the race. The crazy blood blister (which hasn't hurt at all since it happened), 2 blisters from my socks (which never happens), my hip and my calf were hurting! I've finally recovered days later but wow, my body did not like the experience much. All of the stuff at the end-we need bags and towels!! What's next? Well I don't plan on racing a half marathon for a while. It hurt haha. However my next short term goal is a sub 1:00 10k. I hit 1:01:40 on Sunday and I had a lot of gas left in the tank. I would love to shoot for that in Dec but it'll depend on how I feel after my first dopey simulation over thanksgiving. I would love to shoot for it and it would be a great way to end the year on a flat course, close to the beach. And I looked up the McMillan calculator a 59:59 10k corresponds to a 2:13:43 half. My EXACT time! Will I do it next year? Probably not just because I'm aiming for a Fall marathon and my top choices would be NYCM or Marine Corps. However if I don't get into any of those, then maybe! I was disappointed not as many people dressed up as the past year but it was still fun. Anyone else run LA rock n roll? What is your next race? Wine and dine in less than 10 days for me! this hill nearly killed me! I love the Rock n Roll Expo, I always have a good time and there is a lot going on. I left work early and got to the Expo around 3:45. I walked right up got my bib, changed my corral (all I had to do is say, I wanted to move up so I went from 16 to 11), and my shirt. It was not crowded at all so I was in and out within an hour and got great purchases! 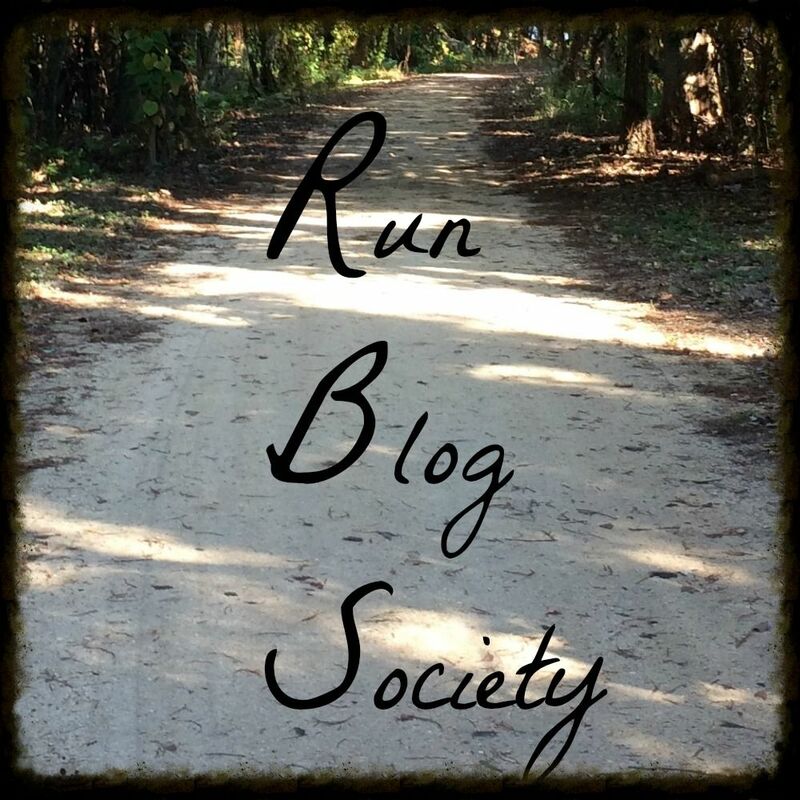 I wrote more about my new roller yesterday as part of the Tuesdays on the Run linkup so make sure to check it out. It is still awesome even if it hurts A LOT. Do you like going to Expos? no body was there! it was great! It is race week and I am ready for this race. It is supposed to get warm during the day but still cool at night so hopefully it won’t be too humid. Only time will tell. Plan: Race start time has moved up to 7:00 AM so I plan on getting up around 5:15 and heading out around 5:45-6:00. I want to get to the race course around 6:15-6:30 as the corrals are small enough you can jump in right before the start time. Now onto goals! I also want to switch my corral placement when I get to the Expo. When I registered, I guessed I would finish in 2:34 (an old PR) but since I am gunning for 2:15 and have a 5k PR of 29:50 and a 10k PR of 1:02, I am pretty close to that goal. I want to make sure I am with fast people to push me along. The course is very flat (downtown to USC and back to downtown, through the 2nd street tunnel). There is a crazy hill at mile 10. Everyone slows down here so my plan that I used last year, I will use again. I do long lunges up. I can move fast and it does not tax my legs as much. After that, the bridge is flat and the downhill will be nice on the way back to the finish. My goal is to try and conceal my speed in the beginning (around 10:45-10:30/mile) and slowly fuel and hopefully maximize my carb stores. I have a playlist planned that is 2:15 exactly and then ends with Let It Go after (so I know it is okay to try hard and not reach my goal). I prepped the playlist to build and also have my fast songs at the end where I can let it fly after the Bridge Hill. I am hoping for a few sub 10:00 miles at the end where I plan on fueling like crazy as I need it-maybe switching to every 2 miles as I need. I need to hydrate during the run as much as possible, especially if it is humid, so I don’t get cramps. This is what I want so bad and I have been training for it. My New Years resolution of going sub 2:30 was a huge dream back in December but as I have gotten faster, I want to push the limit. To reach this goal, I will need to average 10:15/mile including stops and bathroom breaks. I plan on taking 1 bathroom break in the Coliseum (real bathroom) and hoping it will take less than a minute. It will be tough but I am up to the challenge! My old goal time was 2:17, which is what rundisney predicts I can do off of my 1:02 10k time. I want to try and at least reach that. just trying to beat my old PR of 2:34 and finish. I will still be very happy with this race time. This may come up if the weather is hot and humid but I plan on trying my best no matter how the morning starts. Also COSTUME TIME! I will be running this race as PINOCCHIO! I was this for Halloween a few years ago I think it's a fun costume so I am excited to race in this weekend. If you see me, come and say hi! Anyone else have race plans for this weekend? Flat Juliana-so excited for this costume!